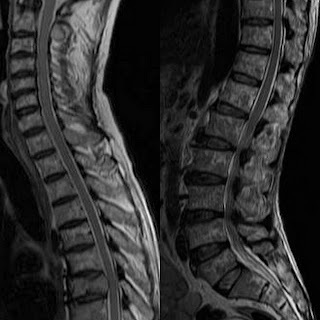 A 60 yo female with low backache. Heterogeneous marrow signal through out whole spine. 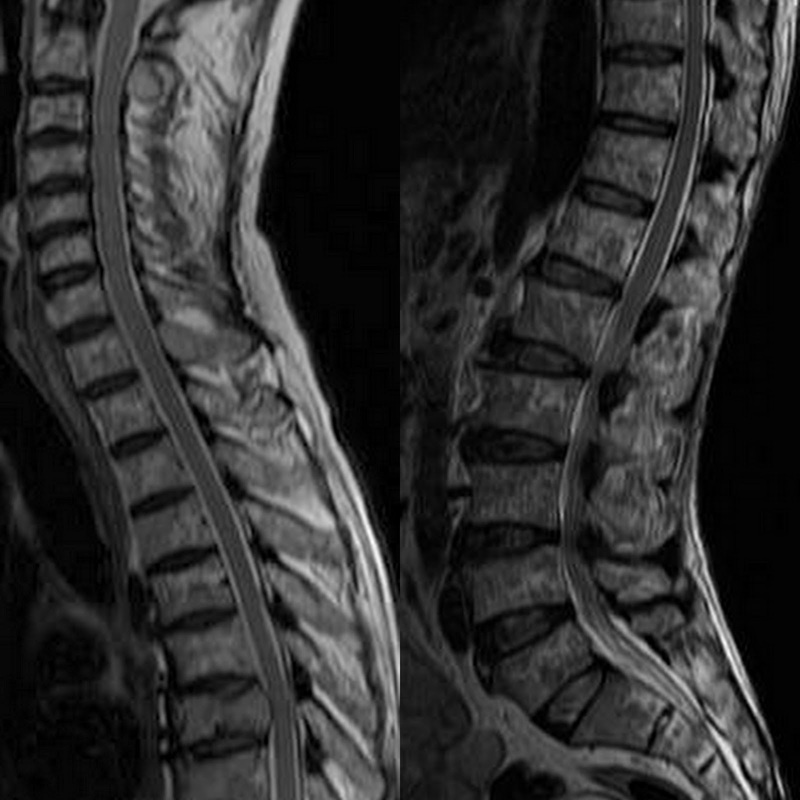 Collapsed D7 with posterior bowing of cortex causing mild to moderate bony canal stenosis. Cord compression not significant. Imaging wise : Neoplastic marrow infiltrative / proliferative disorders like Metastasis and Multiple Myeloma were suggested. Bone marrow biopsy and histopathology revealed Multiple Myeloma. MRI is superior to radiography for both, focal as well as diffuse involvement of neoplastic marrow infiltrative / proliferative disorders. Five different infiltration patterns can be differentiated. (5) Heterogeneous bone marrow due to punctuate infiltration with interposition of fat islands “Salt-and-pepper”-pattern. For the fast and complete assessment of all patterns a combination of a FSE T1 and STIR can be employed for whole spine screening with enough sensitivity and specificity.